So one day I was laying on the couch and thought to Google around for new artists that I might like. 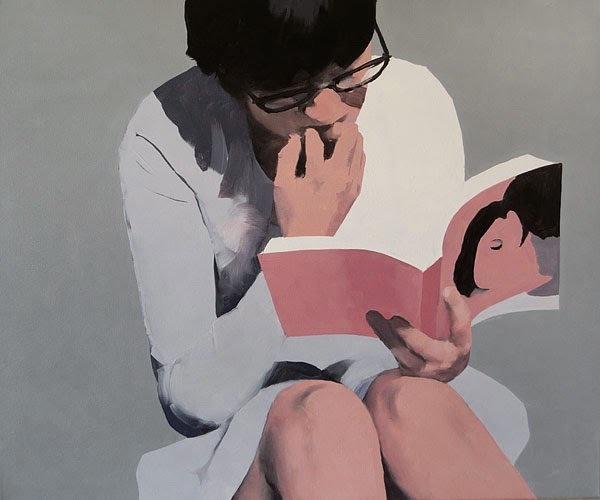 I found a very interesting painter named Jarek Puczel, a Polish man with a great vision for art. He has a master degree from the university of Warsaw, Faculty of Art Pedagogy (1990) and is a contemporary painter. Jarek Puczel sees the world in a different way, he demonstrates scenes from a parallel world in his paintings and those scenes have a calmness in them. His paintings, like his titles, are very poetic, philosophical and yet not really complicated to understand. 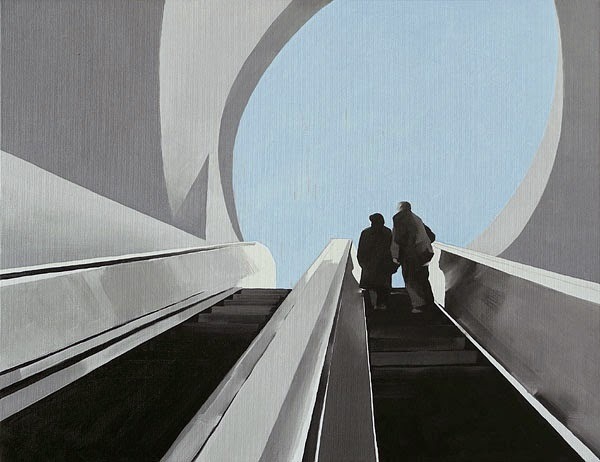 He tries to make his own parallel world with some pictures from the modern life and reflects that in his paintings, with the idea that the world has different realities. For me his paintings give me a kind of calmness, even if some of his work has a sort of dynamic form, like Exit 4. Jarek Puczel begins with a layer where remarkable experiences are done, that are often unconnected to a vivacious life. On the second layer he puts the emotions or feelings that are leading to a new, more freely action. Which forms a tension between realities and that's what makes his work so strong or special. Take the work called Romans for example. The one artist where I see some resemblance with Jarek Puczel is Nigel Cox. 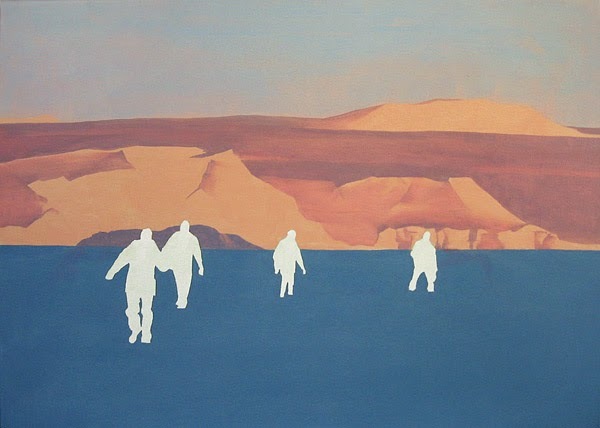 He mixes realism and minimalism in his works. Or another contemporary painter, Julita Malinowska. Most of her paintings take place on the beach or in the sea. It has a big resemblance with Jacek Puczel's technique. If you look at the lines and the wide brushstrokes on the paintings, you can feel the similarity between them. Compare these two below and you'll see what I mean. 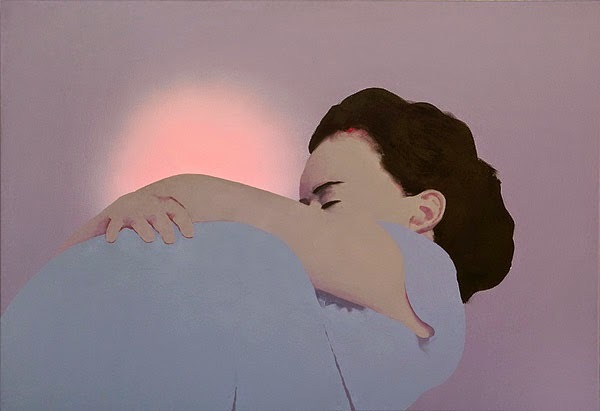 I see clearly a touch of minimalism in the works of Jarek Puczel, because minimalism has a touch of simplicity with a profound foreground, mostly meaningful and Jarek Puczel does that a lot by reflecting that on every work he does. What I personally love about his work are the conflict between warmth and cold. You can clearly see how he plays with the colours and yet makes them appreciable to look at. The beauty of his works are the ideas he creates and places them in a light or dark space. It's like you're automatically creating a scene in your head by making his painting move. Such as these three paintings below. Sometimes I have a feeling that he wants to make us live the life of an object or a person's feeling, such as these last paintings. 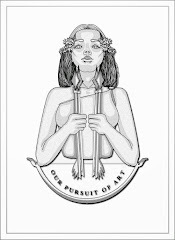 If you want to see more of his work, you can visit his website. Just go check him out, he has got some talent and he gives a great interpretation of what's real and what's not. Let me know in the comments if you appreciate this painter.